A comprehensive door access control system provides a balance between physical control and electronic detection. At TSG, we focus on the complete solution, not just the electronics. Our expert designers and installers understand locking solutions combined with electronic access control provide the whole solution to door access control. 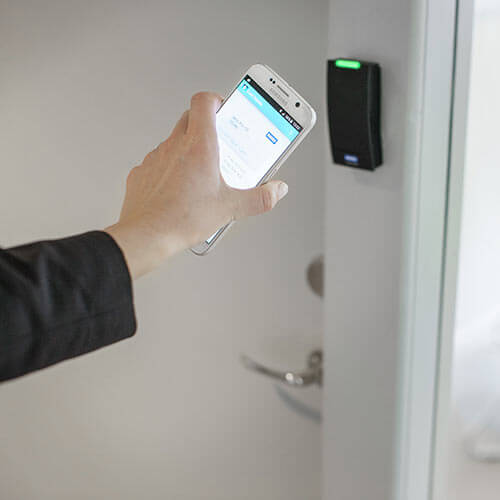 We back up these skills with comprehensive software and computing knowledge to create a complete access control system that keeps people and property safe from unauthorized access. 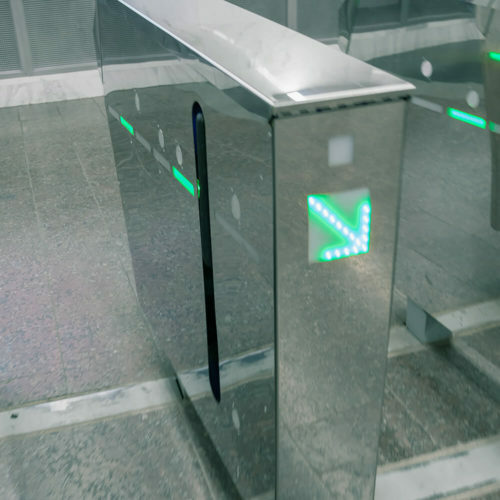 TSG offers complete physical security solutions for entrances, including mechanical and electronic locking solutions and powered door operators. Utilizing the latest technology from industry leading suppliers, TSG delivers comprehensive door security solutions for every opening. Our expert designers are continually trained in physical access control and locking and are able to design solutions that take advantage of wireless, hardwired, or Power-Over-Ethernet locking solutions to lower installation costs. Trust an expert to help you select the right credential technology for your business. TSG has deployed nearly every type of credential technology. We can help users simplify the ID process; a single process can create the ID, capture the photo, and automatically assign access levels based on user group. Our fully integrated solutions save business customers money by eliminating the need for separate badge production and card access systems. Eliminate infrastructure. Save time. Save money. Have a better user experience. Help your organization select the best credential technology. Migrate from older less secure forms of credential. Meet required standards like HSPD-12 and FIPS. 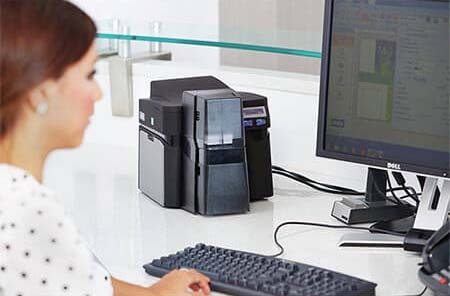 Integrate the photo badge production into the card access solution to provide a single database for all card holder records. Employ data import tools to automatically populate card holder data, schedules and access levels from all types of databases including HR and LDAP. Provide the latest encryption technologies to secure communications between the card and the reader. Use your mobile phone as your credential. Select from the best providers of ID printers, image capture cameras, signature capture and accessories. Everything you need to protect and display an ID. Custom printed badge holders, lanyards, badge clips and more. 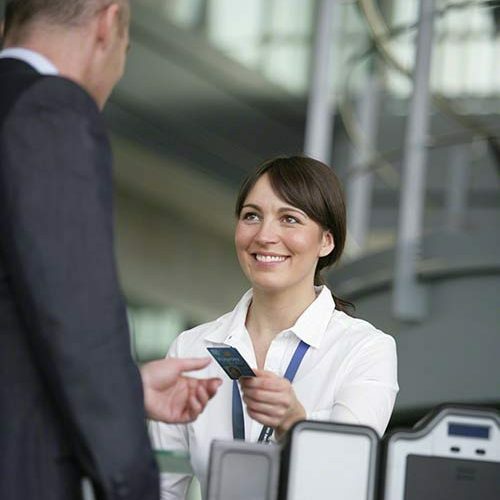 You can be welcoming, safe, and secure with an automated visitor management system. It’s important to maintain control over who enters your facility, how long individuals stay, and what area(s) of your facilities that visitors can access. At many organizations, a paper log is still used. While this approach can be seen as fast and easy, it is significantly lacking in security and allows anyone to see who has been in your facility. With Visitor Management from TSG, you create an environment where employees, information, and equipment are all safeguarded. You also project a more professional image, improve security markedly, and achieve compliance with mandates for obtaining and auditing visitor information. Key control is an important component of your organization’s total security operation and TSG’s key cabinets provide a highly accountable system for key management. Our systems secure keys for facilities, vehicles, and equipment and allow only authorized users to take only the keys they are authorized for. We can set curfews to make sure keys are returned and provide a complete audit trail of which user removed the key and when it was returned. We integrate the key management system into your organization’s security management system and link key cabinet events to video and access control to provide complete accountability.